Happy Holidays to our members & chess friends. Holiday Party, Business Meeting & Officer Elections Tomorrow! THE 2018 SUMMER TOURNAMENT CONCLUDES NEXT WEEK. 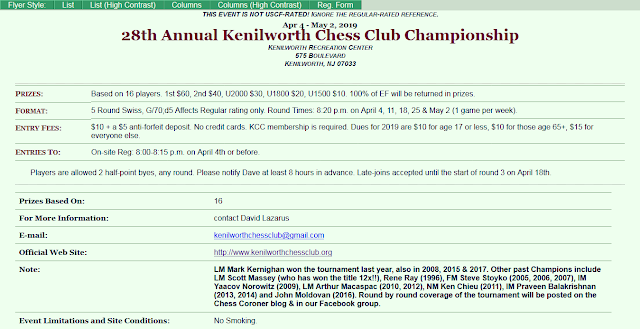 For current standings visit the Chess Coroner blog or our Facebook group. A 5-round, USCF-rated swiss &amp; scholastic will begin on August 2nd.